There’s a reason banners are a classic in the signage industry—they are the most affordable way to make an impact. Displayed horizontally, vertically, indoors or out, a banner is a versatile and cost-effective way to put your message in many places. Add impactful design and full-color graphics your banner will sure stand out, get your message noticed and make it memorable. 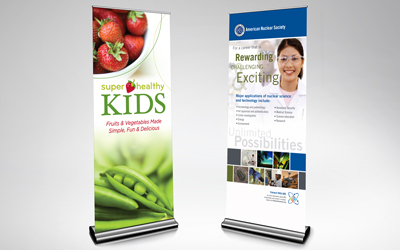 Perfect for promotions and special events, our custom full-color banners provide high visibility that attracts and motivates customers. Of course we do the traditional vinyl, but if you really want to make a splash, stop in and see all the new banner options we have to offer.